TimeZone : Public Forum » Having an AOPA weekend. 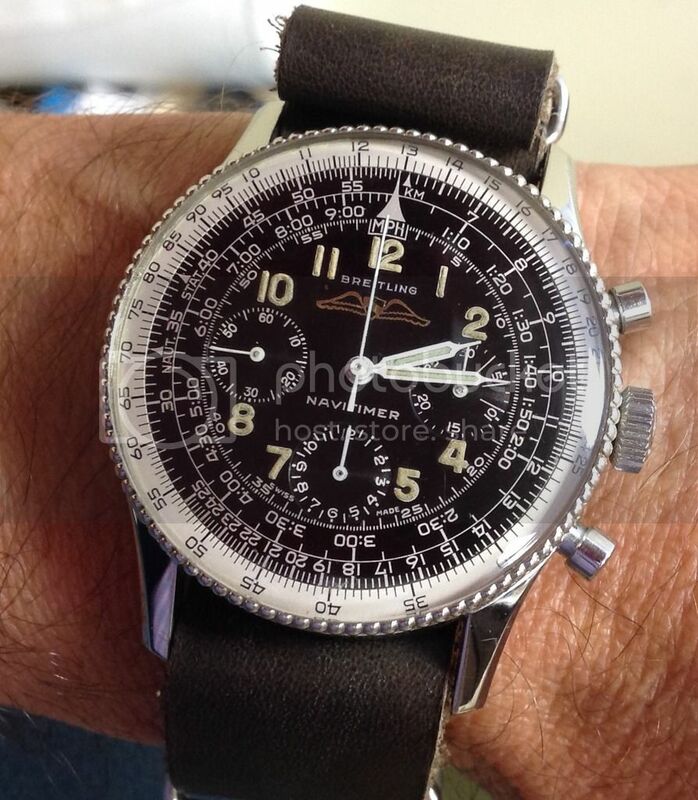 In 1954 the Airplane Owners and Pilots Association and Breitling presented the AOPA navitmer with winged logo. From my reading, it seems unclear if AOPA actually had a role in the design of the Navitimer or if they simply requested that Breitling to use the winged logo to offer to AOPA memebers. The watch originally sold for about $57. In any event, the relationship proved mutually beneficial. And here is a 1962 Cosmonaute with similar applied and signed logo. This is a 1963 Navitimer, a transition year where the logo remains raised but without the AOPA signature. And finally a 765 TopTime circa 1965, again with signed emblem, but no longer applied and gilt. So that's it for my AOPA Breitlings. Hope I didn't bore the entire TZ community, but I just love these watches!